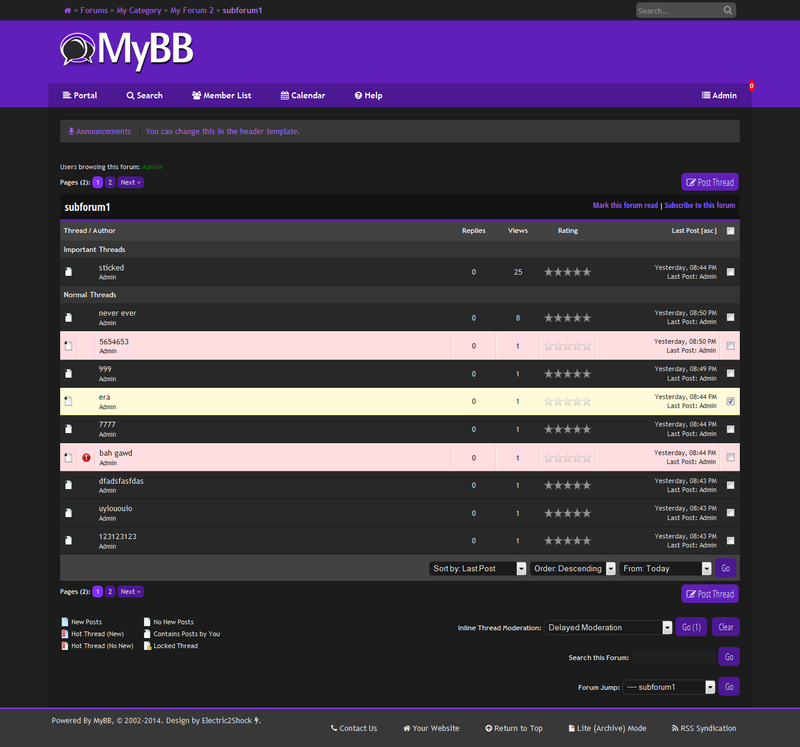 Purple Board is a flat and purple free theme designed for MyBB. The design is minimal. I've taken care to make sure it looks pleasing to the eye. The only thing that needs to be forgiven (in my view) is the WYSIWYG editor. 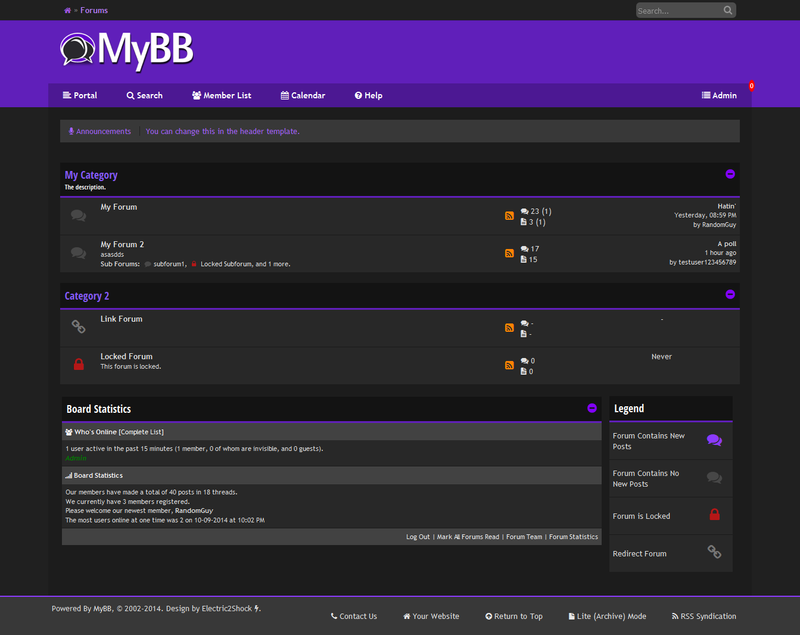 I'd have to make a new editor_theme for that. Other textareas are dark so that the eye doesn't need to be stressed by white boxes in dark designs. I know people hate 'em.